From Our Hands to Your Tables: Having mushrooms on your holiday table? Make them union mushrooms. 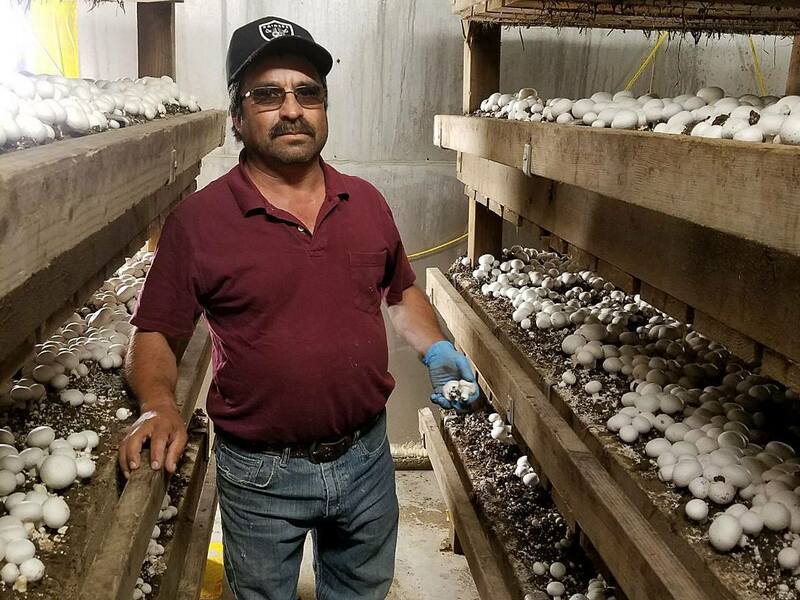 Manuel Plascencia is excited about the contract he has with Monterey Mushroom Watsonville, where he has labored for the last 36 years. He tells us, I am very satisfied with this contract. It maintains the benefits for me and for my family like the medical insurance plan, pension plan, yearly vacation pay, holiday pay and yearly pay raises and medical leaves for up to 22 months at one time. The seniority in the workplace, apart from the protections through the grievance and arbitration system, secures our work. I give thanks the United Farm Workers for the help that have given us so that we have our collective bargaining agreement and maintain the good benefit package that we have.” #ThankAFarmworker #WeFeedYou / Manuel Plascencia está entusiasmado con el contrato que tiene con Monterey Mushroom Watsonville, donde ha trabajado durante los últimos 36 años. Nos dice: “estoy muy satisfecho con este contrato. Mantiene los beneficios para mí y para mi familia como el plan de seguro médico, plan de pensiones, pago anual de vacaciones, pago de vacaciones y aumentos de sueldo anuales y ausencias médicas por hasta 22 meses por año. La antigüedad en el lugar de trabajo, aparte de las protecciones a través del sistema de agravios y arbitraje, asegura nuestro trabajo. Doy las gracias a United Farm Workers por la ayuda que nos han dado para que tengamos nuestro acuerdo de negociación colectiva y mantener el paquete de buenos beneficios que tenemos.